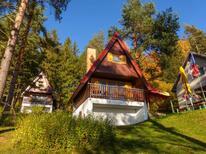 A holiday house at Lipno Reservoir costs on average GBP 617 in the cheap travel period and GBP 947 in the peak season per week. These details are of course in relation to the house and not per person as well as includes the obligatory additional charges. The Czech Republic is emerging as a popular holiday destination, especially Lipno Reservoir, one of the country's largest lakes. Lipno Reservoir is a perfect destination for visitors who are interested in water sports, as the large lake offers all types of aquatic activities. 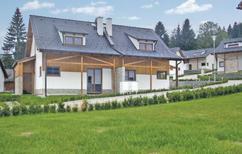 A vacation in a holiday home will give visitors to Lipno Reservoir the flexibility to take full advantage of all the lake has to offer. Holiday rentals let visitors establish a home base while they are on holiday, allowing them to explore and have fun while having all the comforts of home. 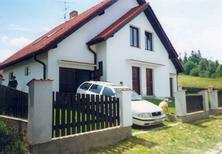 Holiday houses at Lipno Reservoir are easy to book and rent in areas such as Kramolin and Böhmerwald. Lipno Reservoir is known for its water sports. There are opportunities for sailing, wind surfing, swimming and almost every other water-based activity there is. Cruises around the lake are a pleasant way to enjoy the local landscape and are quite a popular activity. Visitors can spend their day playing in the water and exploring the Lipno Reservoir before returning to a relaxing evening at their holiday homes. 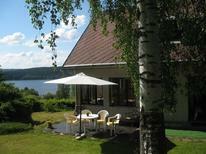 Fishing is another popular pastime at Lipno Reservoir as the lake is full of carp, pike and other fish. Visitors can step out the door of their holiday home and be fishing in minutes. 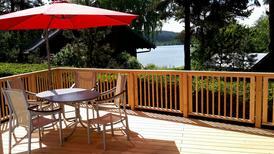 Holiday homes are an ideal way for visitors to have a home base from which to explore the lake and surrounding area. After a long day sailing or being out in the water visitors will appreciate coming back to the comfort of their holiday appartements. 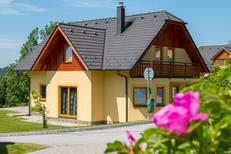 There are many holiday appartements and holiday houses to choose from at Lipno Reservoir so visitors can pick the one that fits best with their holiday.